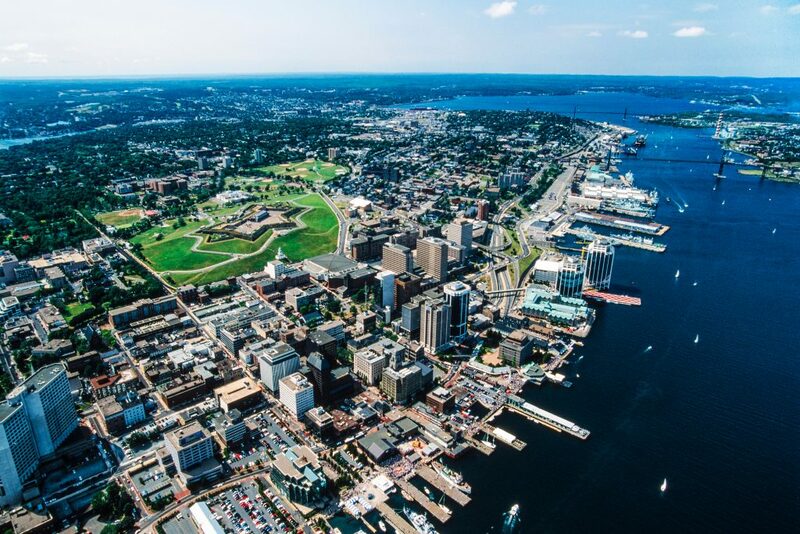 The hub of the Maritimes, Halifax is small enough to almost forget you’re actually in a city. Nonetheless, it’s big enough to offer something for everyone seeking to discover this seaside jewel. Equal parts hip and cozy, you’re bound to find plenty to discover, no matter your interests or your budget. To take the pulse of the city, head downhill towards the water. Stroll along the harbourfront boardwalk and enjoy the salty, fresh air. Experience one of Halifax’s many festivals or grab some grub at the popular Seaport Farmers Market. Try to do this on a Saturday when there are the most vendors. With a wide variety of ethnic foods, you’ll have a hard time not getting one of everything! You’ll also find an impressive diversity of unique handicrafts and artwork from all around Nova Scotia. Skip the airport kiosks; these souvenirs are much more authentic, and often come with a lower price tag, too! For the full waterfront experience, take a ferry across the harbour for only $2.50 to discover Dartmouth, Halifax’s sister city. Whether you’re into folk art or you’re a history buff, there are a variety of museums offering admission for under $10. Want to see some great art for free? Visit the Art Gallery of Nova Scotia on Thursday evenings, when they offer free admission. For a deeper appreciation of Halifax’s local history, you’ll want to take a tour of the Africville Museum. A replica of a church, this historic building was once at the heart of a deep-rooted African Nova Scotian community. At $5.75 for admission, this is still a great deal. For the ocean enthusiasts, visit the Maritime Museum of the Atlantic to discover Halifax’s many strong ties to the sea. Kids in tow? Keep them entertained with one of the many free programs offered by the Halifax Public Library. Or, head back down to the waterfront for a cone at Cow’s Ice Cream, a local favourite. After the sugar rush, going for a hike will surely help them burn off some of that energy! Try the Frog Pond Trail for a kid-friendly jaunt. One of Halifax’s many recreational spaces, it is accessible by bus or by a short drive from downtown. For more adventure, take a paddle in the Northwest Arm with one of the St. Mary’s Boat Club’s canoe rentals. These are free on weekends from June to September. Perhaps the most well-known icon of Halifax’s urban landscape is Citadell Hill. A National Historic Site, this is the best spot from which to view the rest of the city and the Halifax Harbour. A former British military fortification, this complex dates from the mid-18th century. The towering location was an ideal location for guarding against both land-based and naval attacks. Take a tour led by costumed guides or do the Ghost Tour of the chambers for a more daring experience. To top it off, admission is free for youth aged 17 and under. ….adult-style, that is! For craft beer lovers, Halifax is THE place to be. Boasting an impressive variety of breweries, you’ll undoubtedly find just the right beer to quench your thirst. Head to the North End to visit the Propeller Brewing Company, the city’s most iconic microbrewery. Enjoy some samples and tour their tap room for only $15. For more hipster-style suds, try the Good Robot Brewing Company. Here, you can pair your pint with your choice of snacks made by local restaurants.